Having an old unused car in your garage can be a very big problem. Not only does a car take up so much space but it also isn’t biodegradable. It will take thousands of years for your good old car to finally disintegrate and turn into dust and staring at it everyday won’t help speed up the process. A quick call to Scrap Metal Sydney will do the trick though! Scrap Metal Sydney picks up scrap cars located anywhere within Sydney, Australia. The good thing about calling Scrap Metal Sydney is that you not only get the car out of your sight and out of your garage but you get to make some money as well. Once you have called and scheduled an appointment with Scrap Metal Sydney, their honest and competent staff will be at your doorstep in no time. Depending on your car’s condition, Scrap Metal Sydney will be able to give you one of the best, if not the best price for your scrap car! All the assessment will be done fairly by the staff and payment will be done on the spot. If your scrap car is truly scrap and no longer runs, Scrap Metal Sydney will tow it away for free. Removing old, unused and scrap cars from homes and other residential areas is not only pleasing to the eyes. It is also healthy. A deteriorating car may pose health risks to you and your neighbors. As metal and other materials with which your car is made of disintegrates and oxidizes, it gives off dangerous fumes that may affect human and animal health. Another advantage of having old, unused and scrap cars removed is that it contributes to the whole process of recycling. 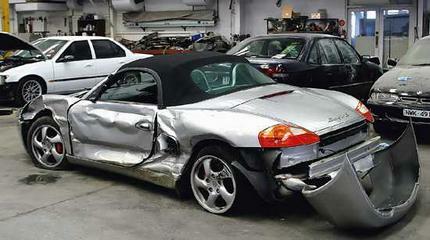 No matter how battered your scrap car is, other parts will still be of use if remolded or reformed. You will also be contributing to proper garbage disposal which is a very big problem nowadays with people leaving trash as huge as cars and appliances in off roads and abandoned neighborhood areas. Lastly, having Scrap Metal Sydney pick up old, unused and scrap cars can help adjust the price of steel and metal in your area. It can make buying scrap metals comparably more affordable as it adds up to the abundance of such scrap materials in your area. You can then help small time businesses who buy scrap materials in your area. Scrap Metal Sydney can be contacted via email, phone and mobile for your scrap car removal needs. They are highly popular due to their free pick – up service (minimum quantities apply) and fast service. Their friendly and yet honest customer service is available to answer all your calls and emails. In calling for scrap car removals in Sydney, simply pick a date for the pick – up and the staff will be happy to book the schedule for you. In no time, Scrap Metal Sydney’s staff will be at your place to assess and pay you on the spot!